The warmer weather is here and many of us love to get outdoors and enjoy it while we can! 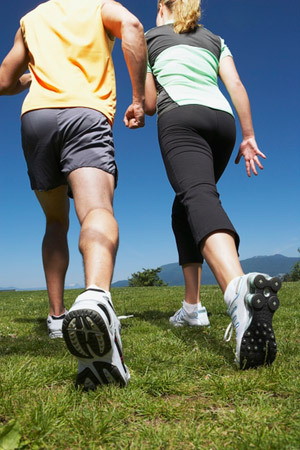 One of the most simple and inexpensive ways to burn calories and get in shape is walking. Here are 10 Skinny Life tips to help get you on the move and burning calories . . .
1. Make your walking workout FUN! Many people find a friend or walking partner to help them stay motivated and on the move. If you love listening to music while you walk, make some fun playlists. Maybe you prefer listening to nature and enjoy the sounds and sights surrounding you. Whatever you enjoy, figure it out, and move your body. 2. Take a different path! If you are getting bored with the same scenery, find a new route, walk some hills, or go on a hike. 3. Wear sunscreen and protect the beautiful skin you are in! A sunburn will only make you feel uncomfortable and get you out of the new routine you just began. 4. Bring along water! Make sure you are staying hydrated, especially if going on long walks or in the heat of the day. 5. Get a pedometer and start tracking your steps. This is a great way to stay motivated and walk a few more steps than you did the day before. 6. Watch your posture! Swing your arms. Keep your head up, back straight and abdomen flat. Point your toes straight ahead. Take long strides, but don’t strain. This will help keep you from aching all over – including your back. 7. How is your heart rate and breathing? Walk at a challenging pace that elevates your heart rate, but don’t over do it — especially if you are a beginner. You should be able to talk and carry on a conversation while you are walking. If you can’t, you may be pushing yourself too fast and too hard. 8. Warm up for about 5 to 10 minutes before going on your walk. 9. Invest in good shoes! The wrong shoes will give you blisters and leave your feet feeling painful and achy! Make sure you shoes are cushioned and fit properly — most people get a size or two larger than what they typically wear to ensure that their feet and thicker socks will fit inside of their shoes comfortably. Most shoe stores will take the time to help you find the perfect fit shoes for your shape of foot, arch, etc. 10. Check with a doctor and make sure you don’t have any unknown boundaries. And one last tip . . . MAKE IT FUN! The Skinny Life is all about moving your body in a way you enjoy, that keeps you motivated, and helps you stay physically active. Get More MOVEment in Your Day!